The 18th annual Dia de los Muertos festival is upon us! On Saturday, October 28 Hollywood Forever Cemetery will come to life after sunset for the largest Day of the Dead celebration in California. 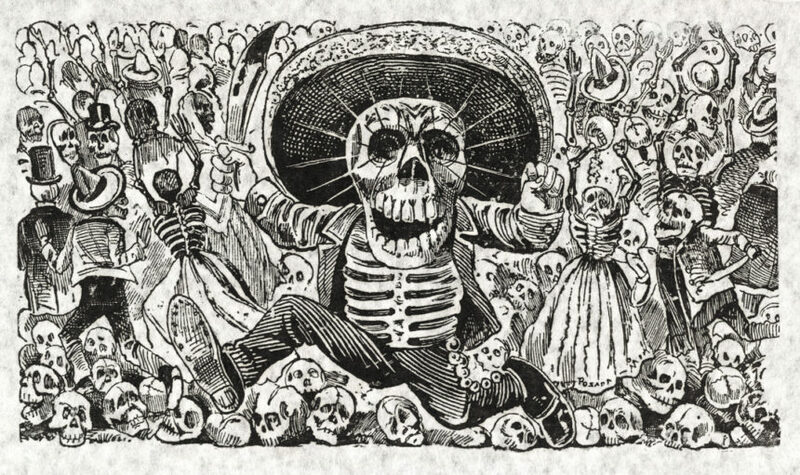 This year’s theme honors Mexican political printmaker José Guadalupe Posada. Expect dance rituals, musical performances, arts and crafts, and a slew of food vendors serving up fine Mexican cuisine. As The Legacy of Posada is brought to life, the cemetery grounds will transform into ceremonial altars created by community artists to honor ancestors and loved ones. There’s also a calaca (skeleton) costume contest to get involved in. This year, the festival tips its feather and flower adorned hat to the famous artist and political printmaker who arguably created the country’s quintessential images of death and many of the foundational images of Dia de los Muertos. “Posada’s work asks us to embrace the beauty and grace inherent in facing our own death and the inevitable loss of those we love. By facing loss with love, and art, we find transcendence,” the festival announced. Celebrations begin at noon and continue until midnight. 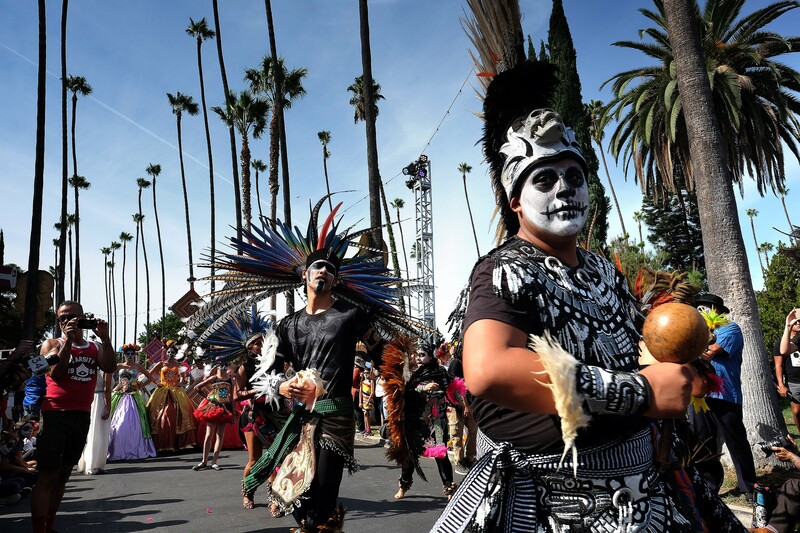 Arrive at Hollywood Forever Cemetery early and encounter beautifully decorated altars and take part in the joyful celebrations that make the Day of the Dead so spectacular.